A year and R121,6 million later, and still no real action has been taken to address the issue of extended sick leave in the Eastern Cape. In fact, the response to the parliamentary question on why the Premier’s Office has allowed situation for such a long time is almost identical to the response given a year ago. This shows that there is simply no political will to tackle this problem! We need warm bodies at work, not bodies languishing in warm beds. The money spent on these sick individuals could have been used to build 810 RDP houses. In response to a parliamentary question acting Premier, Dr Pumza Dyantyi, said 113 civil servants were not at work for more than three months, 98 for over six months, 117 for over a year, 33 for two years, and a further 4 for over three years. One official had been sick for over four years and two for more than five years. Once again, the Department of Education is the worst offender, with 257 staff on extended sick leave. Of this total, 95 had been extended sick leave for more than three months, 77 for more than six months, 64 for over a year, 19 for more than two years and two for more than four years. In the Department of Health, a total of 71 officials had been on extended sick leave for between three months and over six years. More worryingly, is the response to part 4 of the question, dealing with the reasons why the Premier’s Office has allowed the situation to continue. For two years in a row, the Premier’s office has said “relevant supervisors are not acting on absenteeism for long periods of time” and employees “just stay at home for as long as they wish without any discipline”. The question is who is supposed to enforce this discipline? 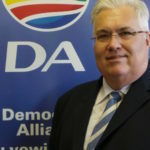 The DA believes that, in a well-run province, good governance is necessary by ensuring that government officials sign performance agreements and that their performance is monitored regularly. There must be consequences for poor performance. No officials were on extended sick leave in the Department of Sport, Recreation, Arts and Culture, in the Department of Safety and Liaison or in the Provincial Treasury. This begs the question as to why some departments can get their staff administration right while other departments cannot? Roadshows about human resource management are not going to fix this problem. Accounting officers and their HR-managers must be held accountable. The DA has a vision of a working province, where those employed by government serve the people. It is time to press the reset button in the province. A DA-run provincial government will hold government employees to account and ensure that those earning salaries paid for with public funds deliver the services they are being paid for.